Customer-focused companies strive to make their content available to an ever-growing number of connected users and devices on a much larger scale than ever before. 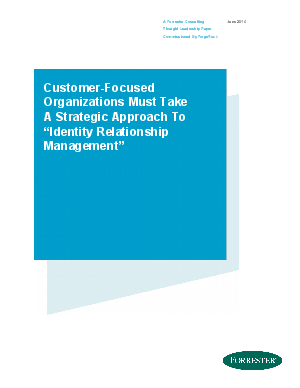 Forrester finds that to achieve this securely, companies need identity and access management (IAM) platforms that are adaptable, scalable, responsive, and high velocity. Fortunately, a new consumer-facing solution is gaining currency and has earned a name unto itself: Identity Relationship Management.